Our enemy is throwing everything it can at trying to improve its image in London in time for its appeal hearing on the decision not to relicense it last year. This is not the act you would expect of a company confident of victory. In fact, it smells like desperation; this once cocksure predator is now grounded, with its wings clipped. 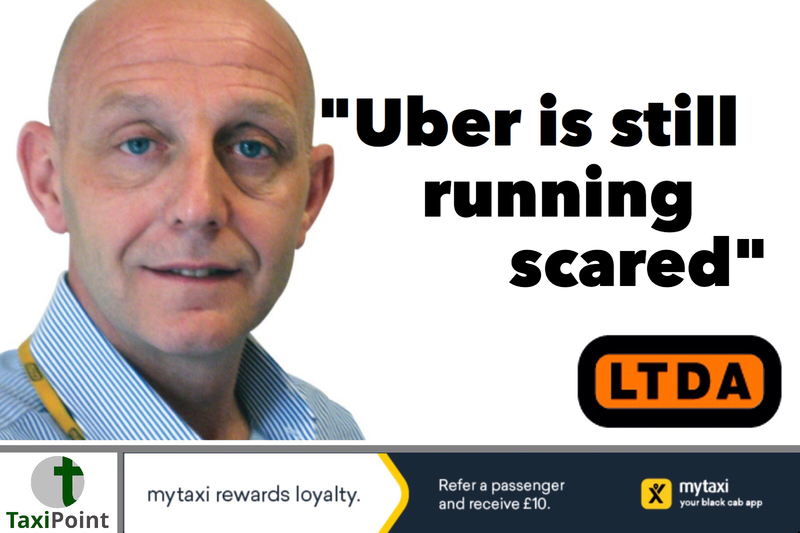 In case it slipped beneath your radar, its latest campaign is called Uber “makes sense.” Over the next few months it will be pumping out a series of feeble video ads highlighting the app’s apparent safety features in a bid to curry favour with our regulator, politicians and the growing number of disaffected former supporters. Uber will attempt to show that its drivers are fully licensed and how surge pricing works. The first (rather cheesy) video which has emerged shows a customer receiving their driver’s name, picture, rating, car information, and licence details before they get in the car. The campaign’s lack of a catchy headline aside, the whole thing suggests that Uber is clearly keen to ramp up its PR to prove to City Hall, TfL and the public that it deserves a place in London and “makes sense” for Londoners to use. It’s hardly the work of a genius, and not likely to go down in the annals of history as a classic. It’s more akin to something a couple of sixth formers could have scribbled down on a napkin at breaktime if you ask me. Still, with the court hearing over its licence approaching in June our nemesis has obviously got the jitters. And it has a right to. In the past fortnight, Brighton and Hove Council has joined the ranks of local authorities refusing to let Uber on its streets. After lengthy considerations the council’s Licensing Committee said they were “not satisfied” that Uber was a fit and proper operator – people in high places at last seems to be catching on. They raised concerns about the massive data breach that Uber hid, and the number of drivers cross-border hiring in Brighton under licences issued by other local authorities. The Chair of the Licensing Committee stressed that these problems are continuing despite Uber blocking drivers using the app who are not licensed in the south-east region. Unsurprisingly, Uber is appealing the decision and, as in London, will be able to continue operating in Brighton and Hove during the appeal. Even if it loses this appeal the ability of Uber drivers to cross-border hire in Brighton remains a huge problem, for it and everybody else who is trying to earn an honest living in this business. Val Shawcross announced that she is retiring and stepping down from her post as London’s Deputy Mayor for Transport in the summer. Heidi Alexander, the current MP for Lewisham East, will be giving up her seat in Parliament and taking on the prole. A Labour moderate, she’s close to Sadiq, having worked as his deputy when he was Shadow Minister for London. She ran his campaign to become Labour’s candidate for Mayor in 2016. It’s a shame to lose Val as she really seemed to get the issues facing the trade and was committed to supporting us. Nevertheless, as soon as Heidi takes over in the summer I’ll make sure to meet with her as soon as possible. It’s critical that she understands why continued taxi access is important for London, that we need more rapid charging points if we’re going to lead to way in going green, and that she supports TfL’s efforts to better regulate PHVs and crack down on companies such as Uber which doesn’t seem to think it should have to play by the same rules as everybody else.